Frozen has been called one of Disney's greatest musicals of all time - high praise indeed! In fact, it's the first soundtrack in over a decade to top the Billboard Album Charts for over a month. This souvenir songbook features 11 songs as penned by songwriters Robert Lopez and Kristen Anderson-Lopez, plus color artwork from the film. 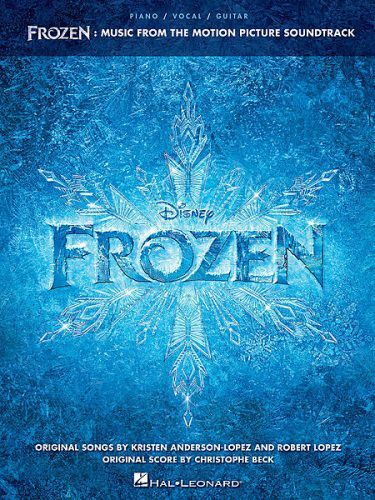 Songs include: For the First Time in Forever · Frozen Heart · In Summer · Let It Go · Love Is an Open Door · Reindeer(s) Are Better Than People · and more. Includes color artwork from the film!